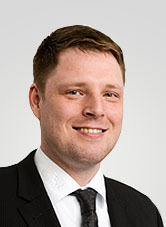 Philipp Conrad, our expert regarding the topic wirebonding, answers your technical questions from the webinar "Wire bonding - optimum bonding of chips to the PCB substrate". What is the approximate price difference between standard IC Pakaging and the wirebonded PCB solution? The price difference between assembly with housed, soldered components and wire bonded bare dies depends on more factors. It depends on the amount of connections and the distance for the wirebonding. For smaller and medium quantities, wirebonding offers a price advantage. We can assess the price advantage for each of your wirebonding projects individually. What is the price difference between Gold wirebonding and Aluminum wirebonding? Both technologies at Würth Elektronik cost roughly the same. The only difference is the slightly more expensive ENEPIG surface for Gold wirebonding compared to the ENIG surface for Aluminium wirebonding. What is the largest distance between die and substrate pad? This depends on the process and has to be checked for higher distances over ca. 20 mm on each individual project. Where do you do the wirebonding? Wirebonding is done at our production site in Schopfheim. Can you also do wirebonding on other substrates? Yes, but we need a wirebondable surface. Special cases have to be checked individually. Please get in touch with us at bonding@we-online.de. How clean must the production environment be for the wirebonding process? We conduct the wirebonding under conditions similar to a cleanroom. Can you provide a Design Guide for Wirebonding? The challenges and limiting conditions vary from project to project. Some of our wirebonding desing rules can be found on our website. For further details please contact us at bonding@we-online.de. Can you do wirebonding on flexible Pcbs? Is there a MOQ for this technology? No, there is no limitiation. There is no MOQ required. We can offer prototype packages, which start from one piece.